BOSTON, Mass. 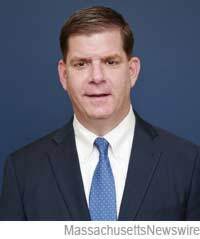 /Massachusetts Newswire/ — On Wednesday, Boston Mayor Martin J. Walsh announced that he has selected East Boston resident Claudia Correa as East Boston’s Neighborhood Liaison. The Mayor’s Office of Neighborhood Services (ONS) encourages, facilitates and maximizes citizen input and participation in all aspects of government through service requests, neighborhood meetings, mailings, and emergency responses. Correa joined the City in February. As East Boston Liaison, Correa will facilitate the delivery of services in collaboration with city departments and serve as a primary contact for constituents to communicate with the Mayor’s Office. She will serve as the bridge between community members and the mayor, mostly focusing on neighborhood initiatives, safety and beautification. Correa previously worked for the Coalition to Protect Mass Jobs as the Outreach Director where she led the outreach to voters, organizations, community groups and businesses across the state. Prior to that, she served on Latino Outreach for Friends of Suffolk Downs. She also worked on Elizabeth Warren’s Senate campaign in East Boston where she started out as a volunteer, and finished the campaign doing community outreach and civic engagement. Correa graduated from East Boston High School, then joined Year Up, where she worked with young adults in the city as a mentor and went on to graduate from UMASS Boston with a degree in Political Science. Correa currently resides in East Boston.